Ezugi is a relatively young company that started live casino software development in 2013. The license was issued to Ezugi by the Curacao Gambling Commission, which controls the level of quality and reliability of gambling software. The specialists seek to make live dealer casino games even more exciting and interesting for an end user. The latest developments and new technologies are integrated in the live casino software for that purpose. The experience of workers, most of whom came from other companies, makes it possible to produce high-quality gambling software that meets the current requirements. To create successful games, it is important to stay on track and follow the changing needs of the players. In order to do this, the company established its own research and analysis department, which provides valuable information for development of new ideas. It makes the branded live dealer casino games truly unique. The games can be played on computers, smartphones and even TVs. No matter where the players are, whether they are at home in a cozy chair or on a trip. The trademark live dealer software makes gambling available everywhere and anywhere. The complex but well-established mechanism of the Ezugi company allows thinking the gaming process through to the smallest detail. Every game is a unique, powerful but simple and intelligent live casino software. 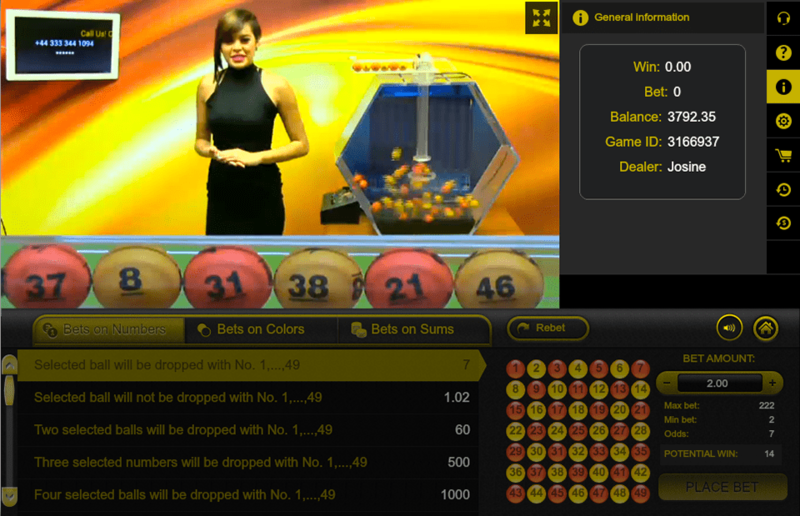 The gambling software features flexible settings, so that every user can customize it according to own needs. Ezugi cares for providing operators with an opportunity to add something new to the game. Many tools allow not just the providing a player with more features, but also gathering valuable information. Operators should contact the Casino Market company to buy Ezugi software. The agency offers to buy live casino games from the mentioned developer and benefit from other services equally useful for gambling business. The company mainly specializes on live dealer casino games. Blackjack. A common American version of the game with the possibility of simultaneous participation of seven people at the same table. Roulette. The European version of the game without any restrictions on the number of players. Baccarat. A traditional version with an unlimited number of participants. Knock-out Baccarat. 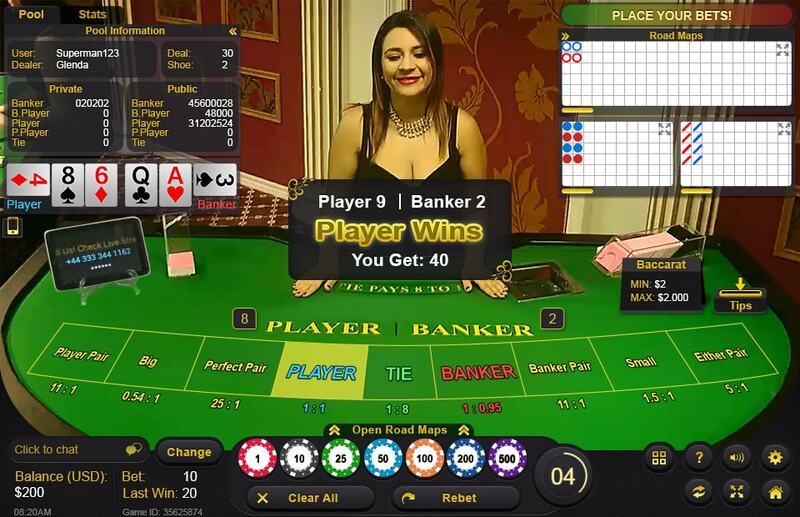 A more modern game version with the possibility of additional bets. Live lottery. A 6 out of 49 lottery with different types of bets. Hybrid Blackjack. A unique "hybrid" blackjack with no limits on the number of clients. Keno Live. The live keno lottery with 80 balls. A wheel of dice. A game is much like the Wheel of Fortune. Caribbean Stud Poker. A game with a progressive jackpot. Two-ball roulette. Besides the basic difference from classical roulette, the developers provided a fixed jackpot here. Texas Hold'em Poker. The most popular kind of poker with interesting bonuses. "Perfect couples" blackjack. One of the most famous game versions. 21 + 3. The blackjack game with opportunity to make extra bets. You can use the unique platform from this developer to start own live dealer casino. The Ezugi turnkey casino gambling platform is a full-fledged web resource with a great choice of features. You can as well simply buy live casino games, which you would like to see in your establishment and install them on another ready platform. An intelligent branding optimization of live casino software helps to avoid integration problems. The company is also ready to consider an intermediary type of cooperation, which should be discussed directly with its representative individually. The Ezugi casino gambling platform works smoothly with different currencies and payment systems, provides the opportunity to launch bonus programs, and play the progressive jackpot. You can run tournaments, provide round-the-clock technical support, and make many exciting choices for your players. What are the highlights of the Ezugi live dealer casino games? It is quite expectable that the most popular games will be Roulette, Blackjack and Baccarat. Seven people can play a regular blackjack at the same time. 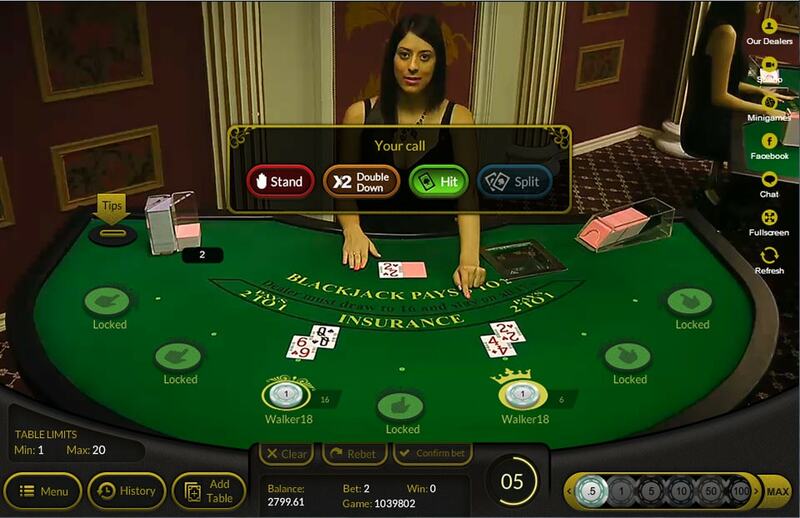 Players have the opportunity to communicate with the dealer or between each other. tips to the dealer, etc. The developers created a Hybrid Blackjack for those who got bored with the old version. This game was the result of cooperation with Uplay1. The point of it is that the number of players is unlimited. You don't have to take a turn to get to the game table anymore. You just have to start the game and enjoy it. The Hybrid Blackjack is opened in an additional window. The dealer cards will be shared by all participants (both for the users of a normal mode and the hybrid version). Players receive random cards from the random number generator, which synchronizes with the deck in the dealer's hands. As the dealer puts the card on the table it will be missing from the virtual deck. 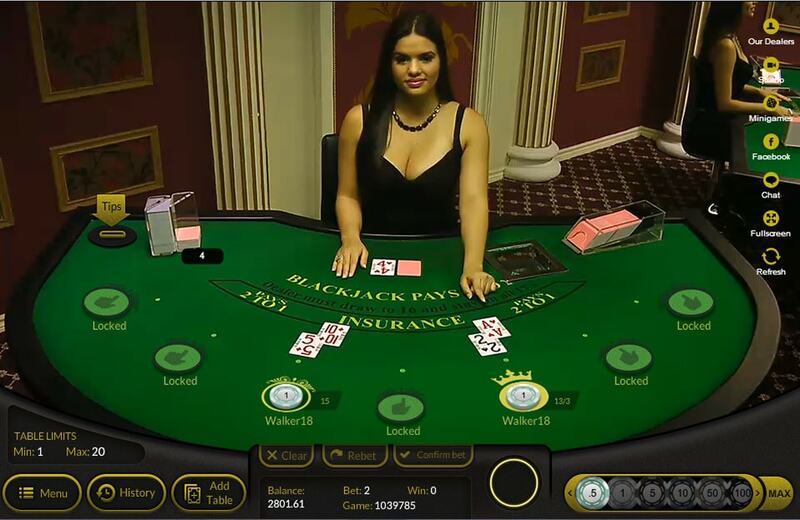 Hybrid version of the game is a pretty compelling live casino software, because it allows all persons willing to play participate in the game. This makes it possible to reduce costs and attract additional audiences that favors small bets. The players who make big bets will choose the classic live blackjack, because the full-featured and quality service is important to them. Baccarat offers all standard features, the ability for an unlimited number of players to participate at the table, live chat, the option to reward the dealer with tips, etc. The lottery mode is very interesting. Nearly every five minutes a new live session starts, during which pretty girls pick out a numbered ball. A player has to choose 6 out of 49 balls and believe in Lady Luck. Keno is distinguished by the fact that a player needs to select 20 numbers out of 80. But users can also make minimal bet: on one number. The Wheel of Dice works on a simple principle. A player chooses a number and spins the wheel. If a number is guessed, a player wins, if it is not, a player loses. All Ezugi casino products stand out among the solutions from other developers, which is why operators should definitely buy Ezugi software and buy live casino games to please their visitors with interesting and entertaining games. Why should operators buy Ezugi live casino software? The Curacao Gambling Commission issued a license to the company, which inspires trust. The authority conducts regular checks of the software to verify it compliance to the reliability and integrity requirements. The young company never had a problem, so its reputation is completely clean. Developers use the SSL encryption method during the process of game development. This means that all information regarding transactions and data transfers between a user and a facility is completely secure. Those operators who really want to elevate own status in the eyes of visitors should buy Ezugi software. The point is that the branded live casino software is used by the world's leading live dealer casinos. Now imagine that your casino uses software with a famous name. The players will surely appreciate it. If you need to buy live casino games, contact the Casino Market company, which offers to buy Ezugi software from the developer. The live turnkey casino service presupposes the development of a unique project with due regard for the individual requirements and wishes of a customer using Ezugi gambling software. Casino advertising from Casino Market allows you to quickly attract players, and the gambling website monetization enables you to turn the resource into a source of additional revenue. The success of an online casino project depends directly on the quality of the software an operator uses. Let your guests enjoy the quality and modern offers, listen to their desires, and they will definitely express their gratitude to you.